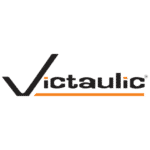 Victaulic, the world’s leading manufacturer of mechanical pipe-joining systems, today announced it now offers hydraulic control and air valves to Canadian waterworks providers. Through its relationship with BERMAD, Victaulic will now be selling BERMAD hydraulic control and air valves that address many critical challenges for the water industry. Together, Victaulic and BERMAD offer products designed for easy maintenance and long service life, which is critical for deployment for water supply, treated wastewater, recycled water and water leakage prevention for municipalities. The expansion of product offerings through Victaulic includes the BERMAD Series 700 and 800 hydraulic control valves along with BERMAD combination air valves. The BERMAD products are engineered for excellence and high performance in large scale waterworks environments. Sold and serviced by Victaulic, customers can benefit from Victaulic’s expertise and the engineering expertise of BERMAD control valves. Municipal waterworks providers will have access to industry-leading training and support services through Victaulic from start to finish. 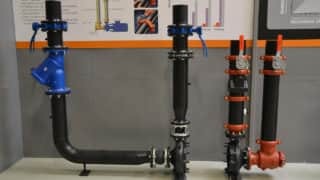 Victaulic will showcase several its products as well as many BERMAD valves concurrently during two important water industry events in Canada, May 1-3. Victaulic can be found at the Ontario Water Works Equipment Association conference in booth #524 and at the British Columbia Water & Waste Association conference in booth 907.